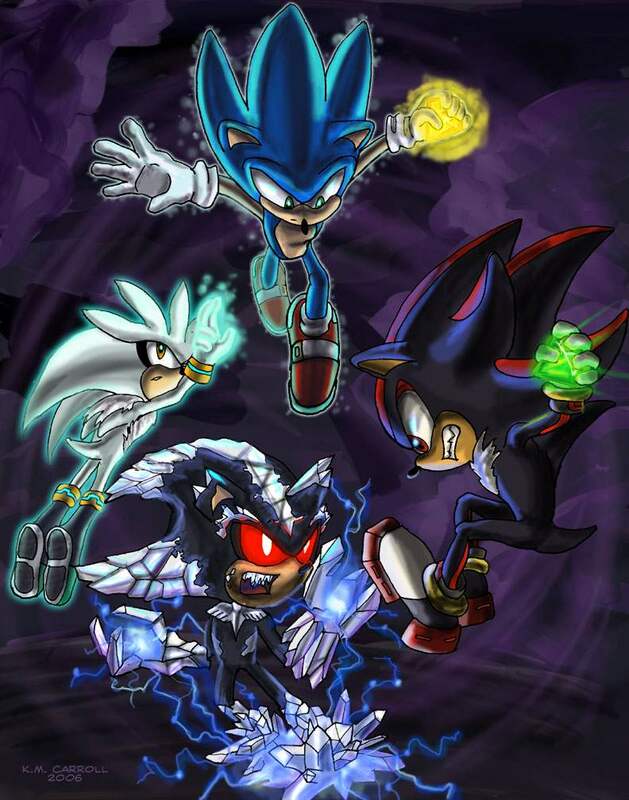 Sonic, Shadow, and Silver Vs Mephiles. . HD Wallpaper and background images in the 刺猬索尼克 club tagged: photo sonic shadow and silver vs mephiles.